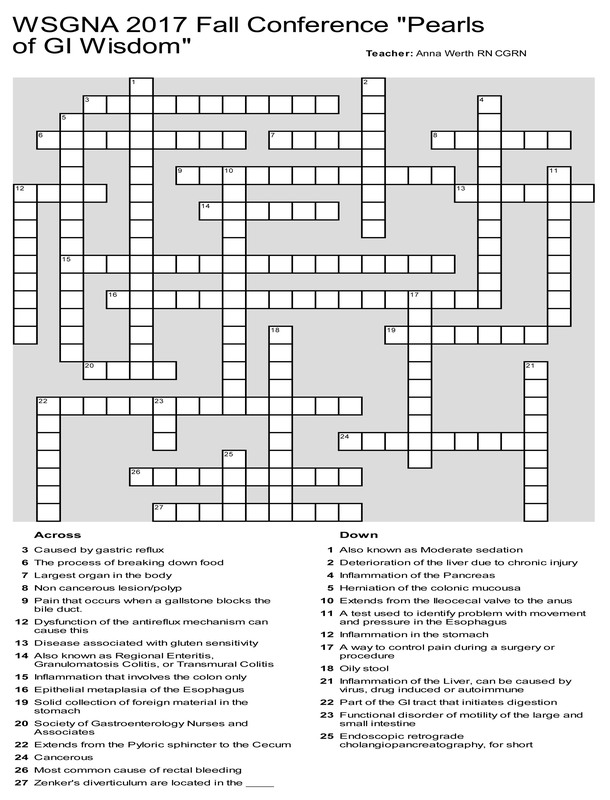 HANDOUT: Click to download the puzzle in PDF format to print out and complete. LEARNING OBJECTIVE: Define terms used in gastroenterology. CONTACT HOUR: Provider approved by the California Board of Nursing, License No. CEP16649 for 1 contact hour through September 23, 2019. –This presentation was previously approved as “GI Specific” through ABCGN (American Board of Certification for Gastroenterology Nurses) for our Fall 2017 Conference on September 23, 2017.